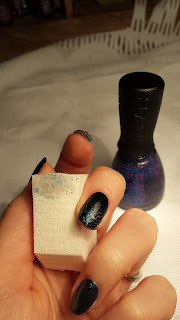 This was my first time trying to sponge on glitter and I can tell you that I might not paint glitter polish from the ordinary brush from the bottle anymore! 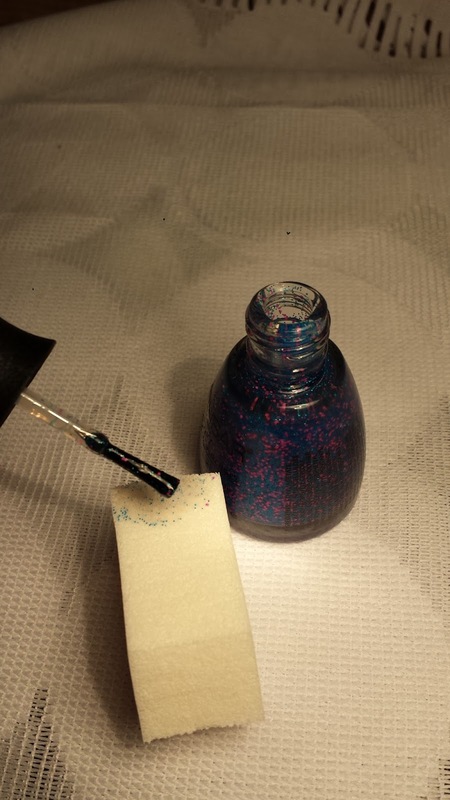 Before this, I always just painted the glitter polish directly using the brush from the bottle. This may require a few coats and A LONG TIME to get my desired look. 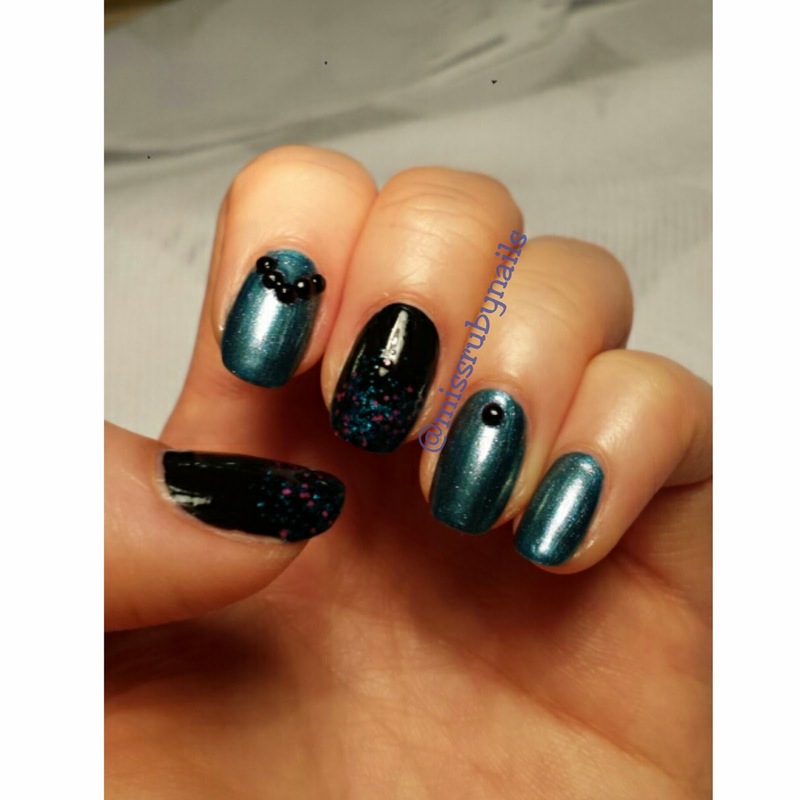 I learned this trick from numerous Instagram videos and knew that I had to try it out. 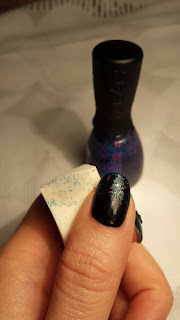 This technique applies way more glitter with almost not polish since the sponge absorbs the majority of the clear polish and leaving only the good stuff - glitter, onto your nails. 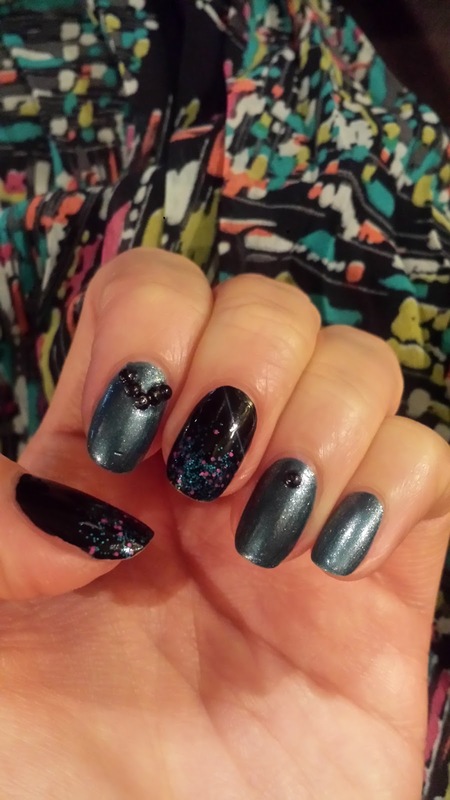 This also can pack on more glitter where you want them exactly, meaning you have more control for glitter placement. Also, you can almost go back right away after a coat to add your 2nd or 3rd layer of glitter! The color combo here might be a little dark, but I had a black base color with some pink and blue small non-shiny glitter. 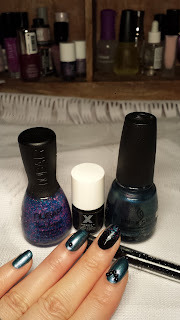 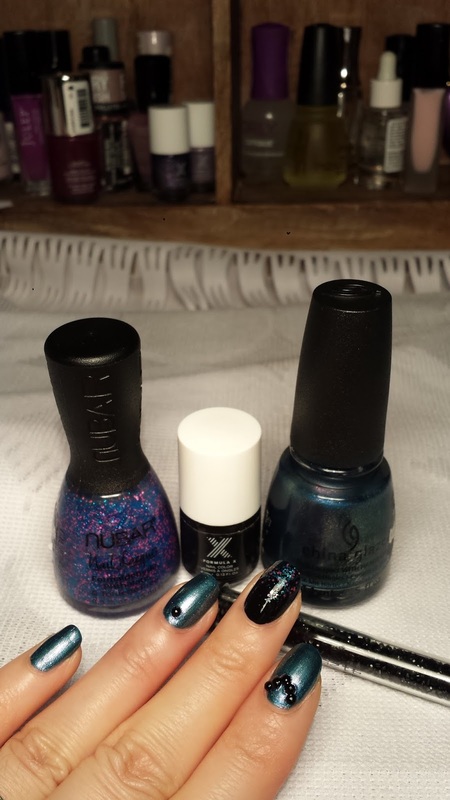 For the rest of my fingers, I have a metallic blue base color with some randomly positioned black jewels to match the black nails!